Breaking digital, outdoor and direct mail advertising, with website, content marketing and social influencer support, aims to convince San Franciscans to compost their garbage... an unpleasant necessity in a city that has run out of landfill. The work is by advertising agency School of Thought, created for the San Francisco Dept. of the Environment, one of the nation’s leading recycling advocates. 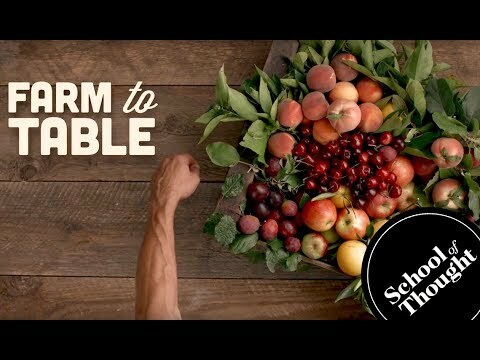 Titled “Real Foodies Compost,” the campaign theme stems from a vexing strategic problem, referred to internally as the “nag factor.” That is, no one looks forward to composting, or to being told they “need to.” The challenge was to find a way to make people want to compost. The solution, to link composting with the “foodie” lifestyle, is based on demographics and psychographics. First came the decision to focus in the target on millennials, many of whom are new arrivals to the city, and therefore less familiar with the city’s recycling needs. Second came the insight that a large percentage of these new San Francisco millennials either are, or aspire to be, foodies. In other words, foodies per se are not the campaign’s target; rather, the foodie lifestyle is its motivator. Via headlines like “Farm to Table. Table to Bin. 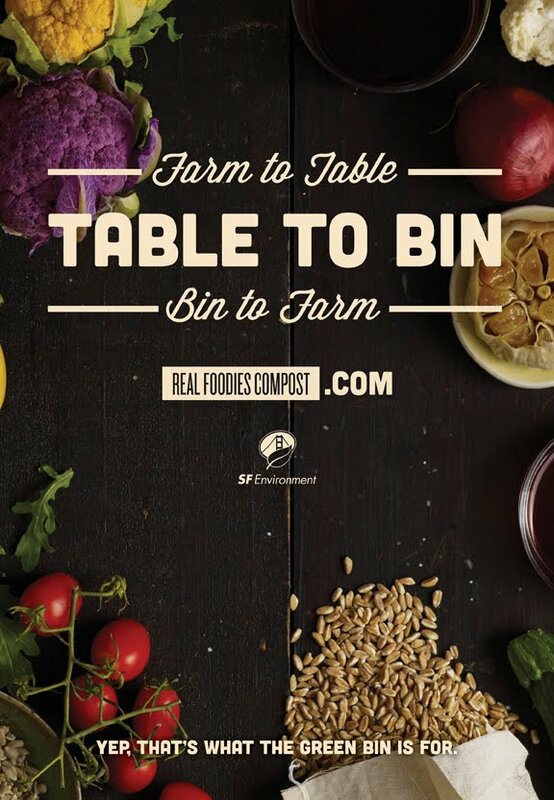 Bin to Farm,” the advertising connects healthy and organic eating with sustainable recycling practices. An original music video begins, “It’s not enough to love the way food tastes. You gotta love a little more, and make no waste...” A new microsite, realfoodiescompost.com , offers recycling advice. And shareable content (such as recipes, challenges, top 10 lists, images and GIFs) as well as a social influencer campaign aim to turn citizens into social media supporters. Paid media includes: digital pre-roll and animated banners, targeting millennials, via MaxPoint; 15 transit shelters, especially in gentrifying neighborhoods; Facebook and Instagram promoted posts and video; native advertising sponsored posts, via Taboola; and a 5000 postcard direct mail campaign. Creative credits go to School of Thought creative directors Ben Ballayuto and Tom Geary, and to director Adam Karsten of San Francisco’s Kaboom Productions.